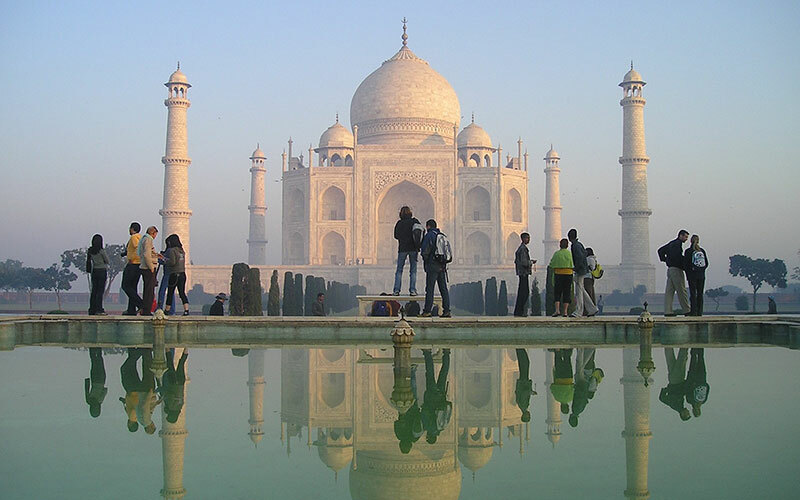 Golden Triangle, which is formed by Delhi, Agra and Jaipur, is the most visited tourist circuit in the country. It is a classic introduction to India's rich culture and heritage. All the three cities are quite well-connected with each other via road and rail network. If this is your first trip to India, you should definitely start with the Golden Triangle. In 'Beyond the Golden Triangle' tour package, you'll get to visit Delhi, Agra and Jaipur – and a little more for a unique experience. 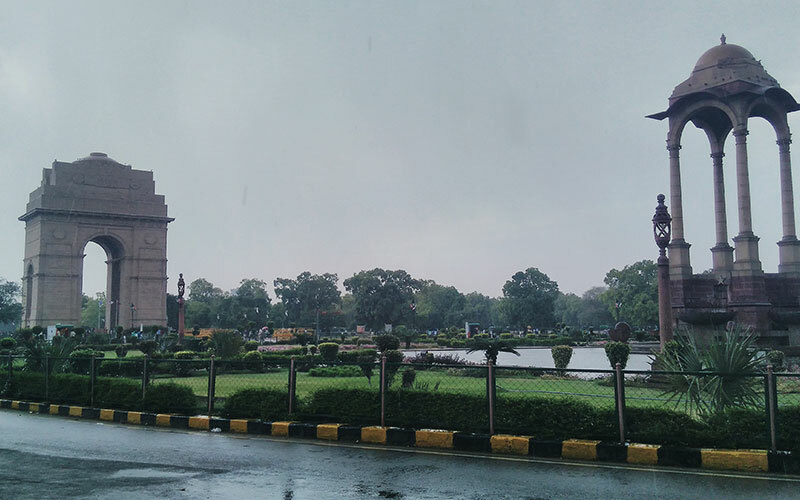 After you have arrived in Delhi, the capital of India, take a guided tour of Old and New Delhi. See world-famous tourist attractions like the Jama Masjid, the Red Fort, the Humayun's Tomb, the India Gate, the Lotus Temple etc. To remind yourself of the bygone Mughal era, also take a rickshaw ride through the busy streets of the Chandni Chowk market. Next, head towards Agra in Uttar Pradesh. Here, you'll witness the white marble monument Taj Mahal in all its glory and the grand Agra Fort which is made up of red sandstone. Visit Fatehpur Sikri, the 'Ghost Town' en route. Undertake a road journey to Sawai Madhpur where Ranthambore National Park is located. Enjoy your stay at a jungle lodge and explore the varied flora and fauna of the forests of the Ranthambore National Park. The Royal Bengal Tiger of the national park is among the most photographed wildlife species in the world. Leave for Jaipur, also known as the 'Pink City of India'. While in Jaipur, visit such famous attractions as the Amber Fort, Hawa Mahal, the City Palace, the Jantar Mantar Observatory etc. Take a leisurely walk through the local markets of Jaipur and watch a couple of cultural shows. Finally, get back to Delhi so that you can carry on your onward journey or fly home. Meet and greet by our company representative at Delhi airport. Stay at your hotel for the night. Today take a combined tour of Old and New Delhi. Visit Jama Masjid mosque, enjoy rickshaw ride in the busy streets of Chandni Chowk, taste some delicious local food in old Delhi. The New Delhi visit mainly includes India Gate war memorial, stunning President Palace complex, Humayuns Tomb, Qutub Minar and Lotus Temple. After breakfast head to Agra in a private vehicle. Agra is best known as the site of India's most famous landmark, the Taj Mahal. Enjoy a guided visit to this icon of Mughal architecture either in the morning or late afternoon for the best light. Also visit the great red sand stone fort of Agra. Check out from your hotel and visit the forbidden city of Fatehpur Sikri which is situated 30 kms out of Agra. From here continue your drive to Sawai Madhopur which is famous for its Ranthambore National Park, one of the most famous Day 04 Sawai Madhopur Check out from your hotel and visit the forbidden city of Fatehpur Sikri which is situated 30 kms out of Agra. 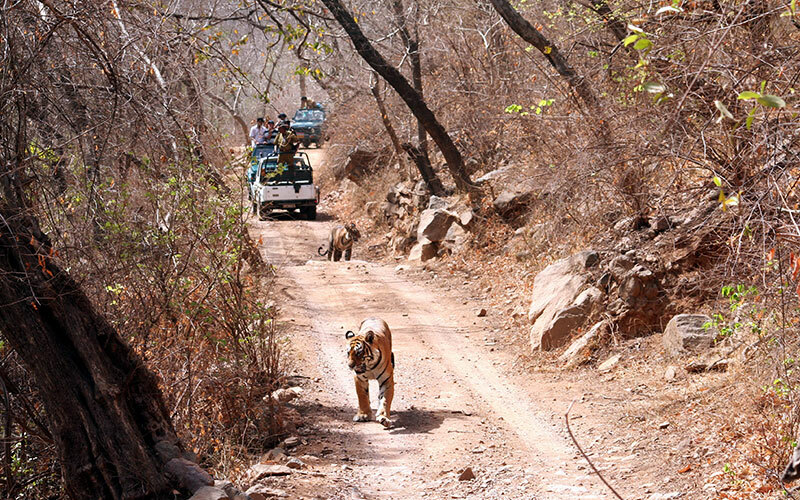 From here continue your drive to Sawai Madhopur which is famous for its Ranthambore National Park, one of the most famous 'Tiger Reserves' of North India. Enjoy staying in your beautiful jungle lodge and explore the flora and fauna of Ranthambore National Park. Take morning and evening safaris in a jungle vehicle to spot the variety of species and especially the Royal Bengal Tiger in it's natural habitat. Leave for Jaipur after breakfast. Jaipur is known as the 'Pink City' and is one of the most important heritage cities in India. 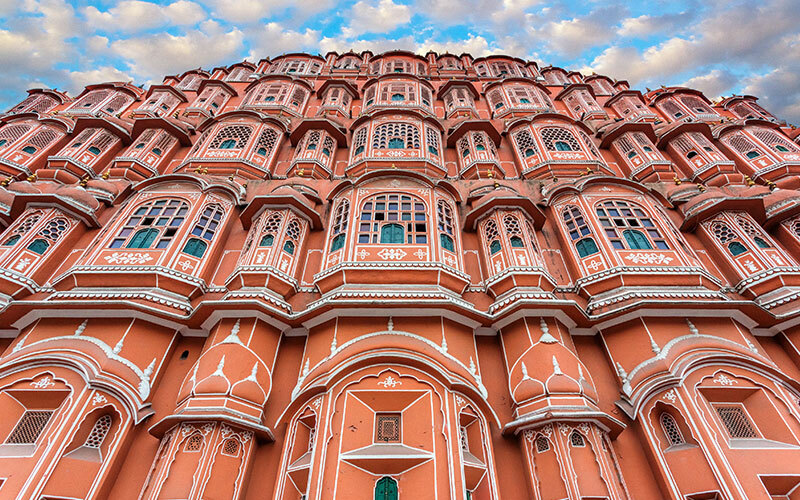 It is home to India's second most visited site, the Hawa Mahal, or 'Palace of the Winds'. Today is your day to spend free time in the busy markets of the Pink City and watching some cultural shows in the town. Do not forget to taste the delicious local food served with great hospitality. A sightseeing tour of Jaipur awaits as you start your day with an Elephant ride to reach the Amer fort which is situated atop the hill, overlooking the city. Also visit City Palace Museum the home of present Maharaja, Hawa Mahal or The Palace of Winds and Jantar Mantar Observatory. Drive back to Delhi and stay in your hotel. Spend your free time exploring the places of your interest or opt for a visit to some great shopping malls and open air markets in Delhi. Depart to your home from Delhi international airport today.